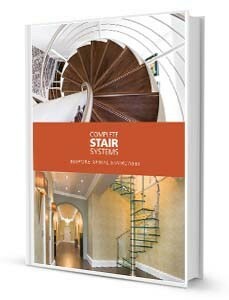 We were instructed to supply two bespoke staircases for a private customer undertaking a substantial refurbishment of a domestic property in Penn, near High Wycombe. 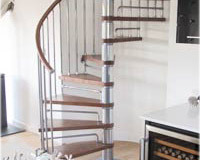 The first one, a spiral staircase, had to fit carefully into a small opening and ensure there was still available access through a doorway below the stair platform. 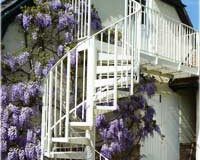 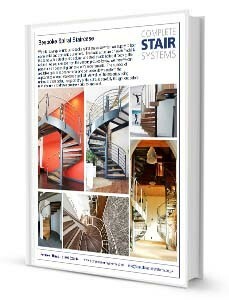 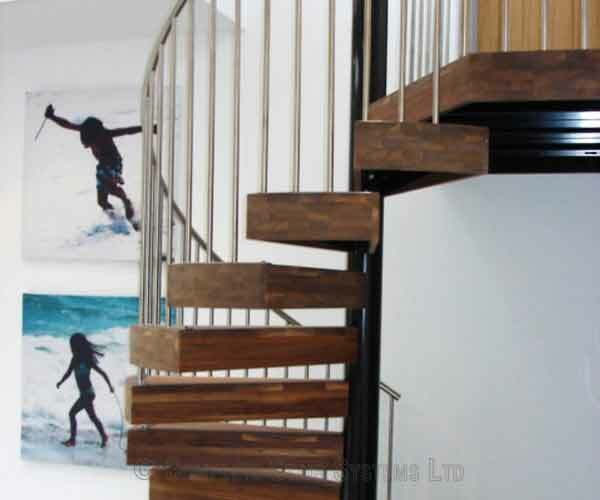 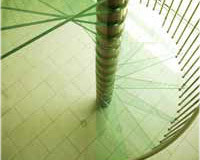 We created an enlarged landing to achieve this and designed the stair with an anticlockwise assent. 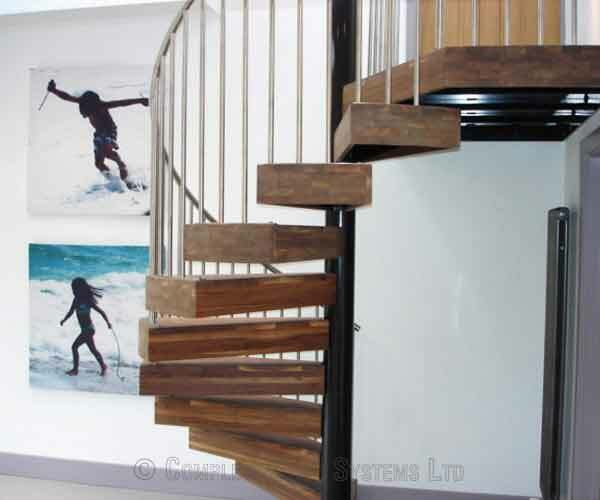 Our customer liked the idea of chunky ‘railway sleeper’ steps and it was essential they were manufactured in Walnut to match the surrounding flooring. 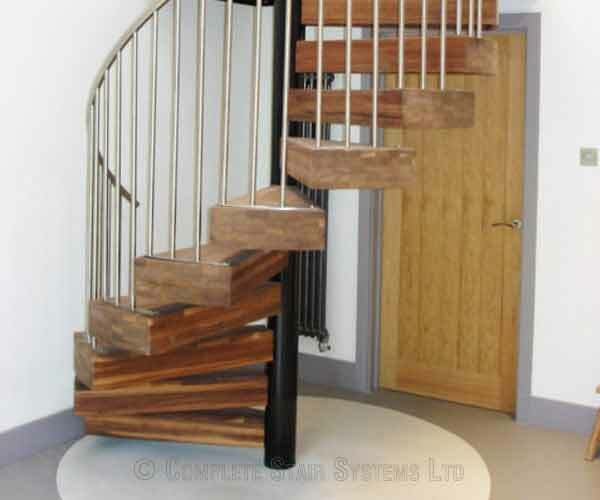 The treads were made from walnut, extended front and back to ‘box’ in the steel support to give them the chunky appearance required. 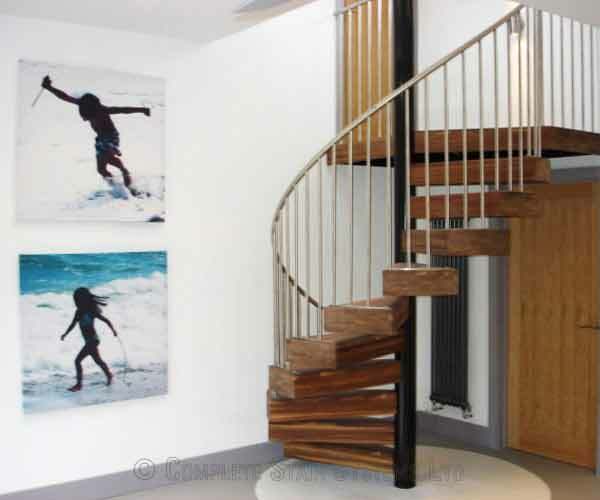 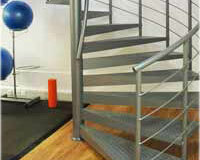 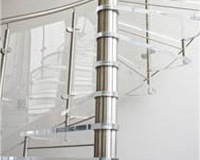 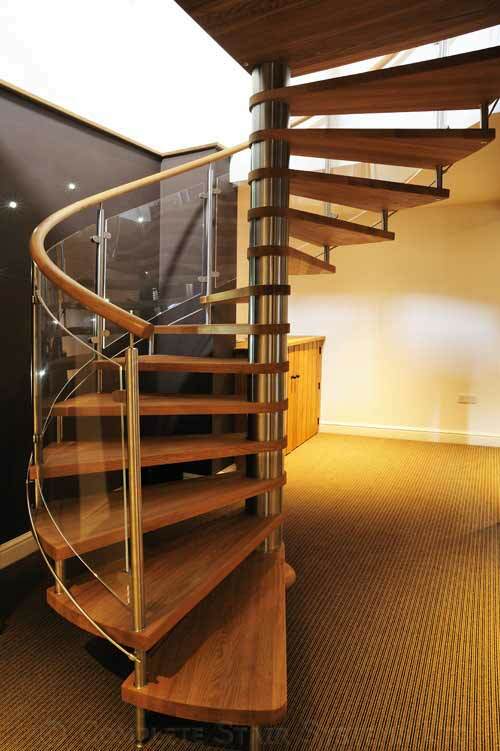 These were complimented with vertical brushed stainless steel spindles and a stainless steel handrail. 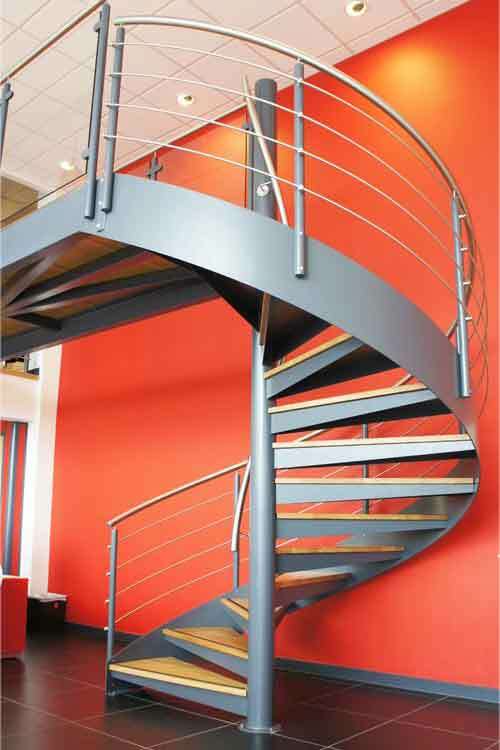 The centre column and tread supports were powder coated black. 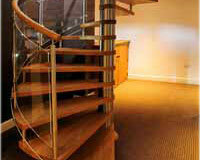 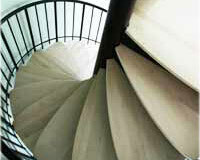 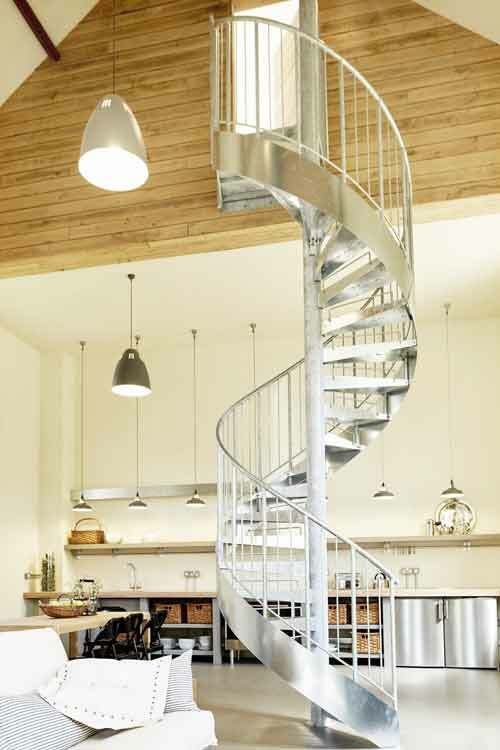 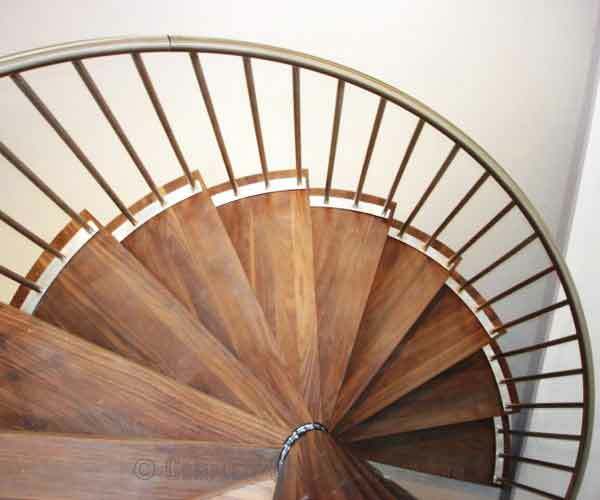 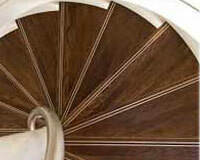 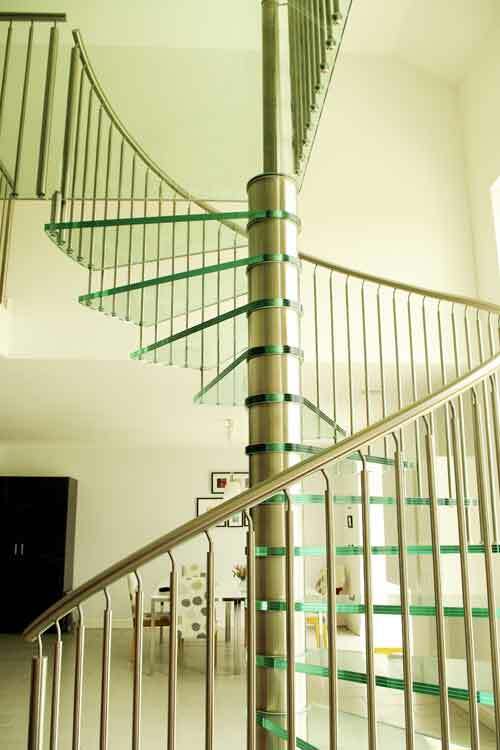 If you would like a price for this Spiral Staircase Penn project, please fill out the form below.